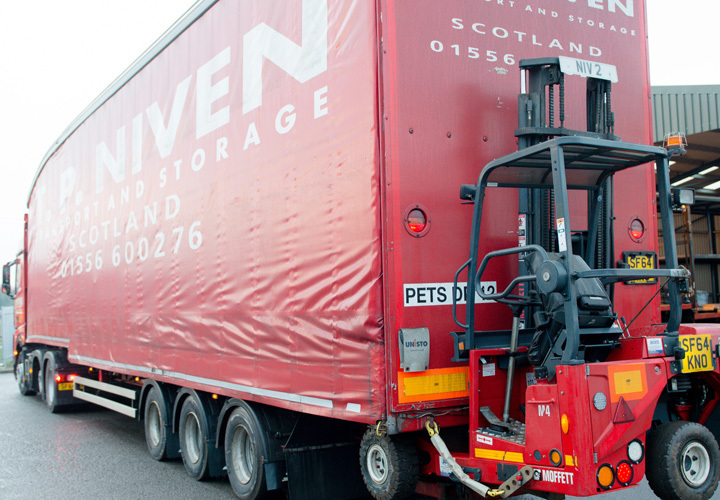 T P Niven has a fleet of over 150 vehicles and trailers and offers a complete range of logisitics services. 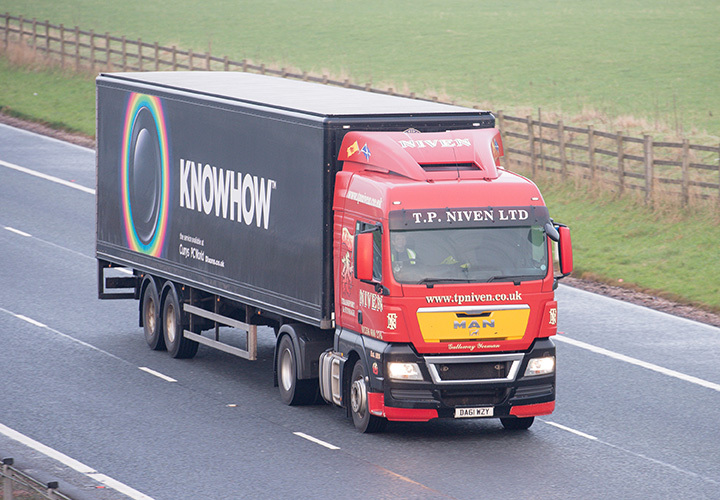 Founded in 1926, TP Niven is a family owned freight transport and logistics business where family values and attention to detail are paramount. We believe we have established a reputation for quality, reliability, flexibility, and ‘value for money’ services whilst still ensuring that we continue to offer personal and friendly service to all of our customers. 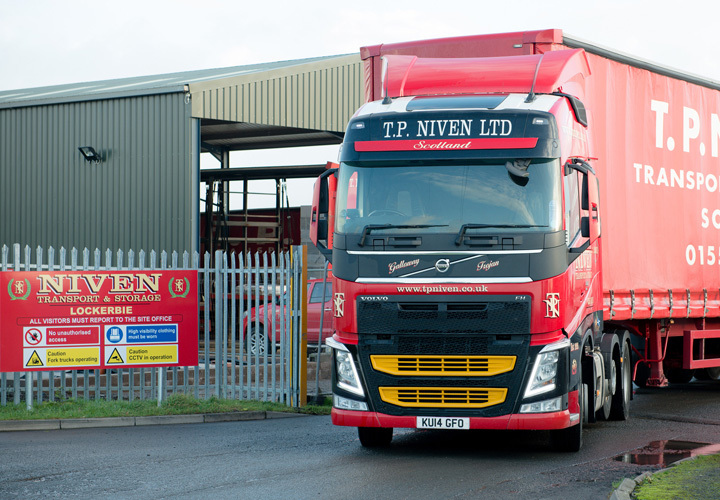 Led by an experienced management team and supported by trained and motivated staff, TP Niven is committed to providing the highest quality of Customer Service. Using our strategic position in South West Scotland we can also offer cost effective distribution solutions to High Street retail outlets and out of town shopping estates. We provide daily dependable services Nationwide for full or part loads, meeting exacting delivery and collection standards. 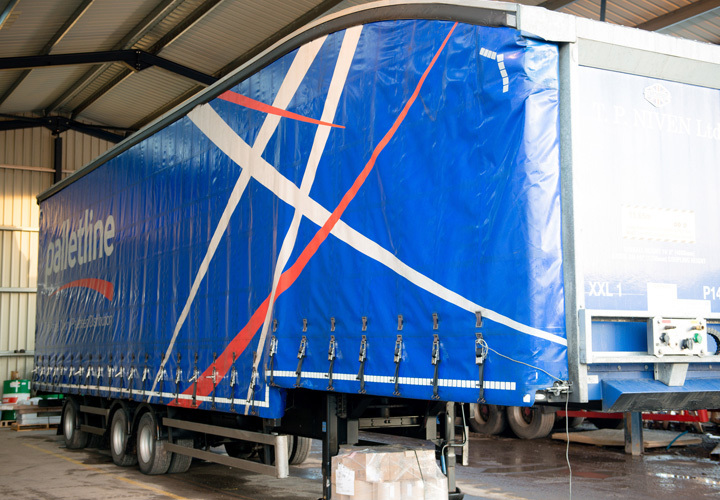 We collect from Dairy locations and deliver to food processing centres in Southern Scotland and Northern England. 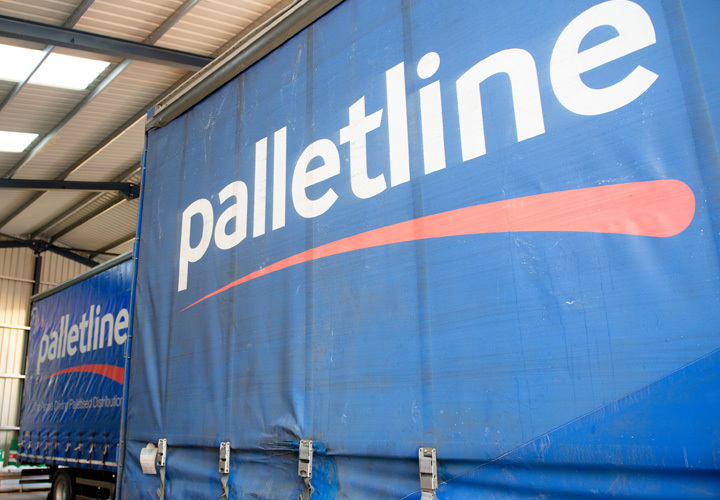 Servicing post codes DG (Dumfries) and KA (Kilmarnock) we are able to bring the complete flexibility of the UK’s leading pallet network distribution specialists. 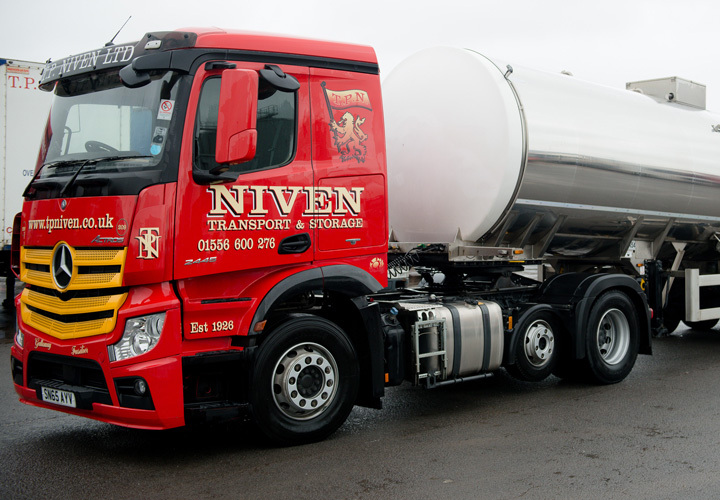 We have been using TP Niven Transport for 4 years, during this period they have grown their business with us to become a valued partner in delivering our solution to our customer. The service is of a very high standard and this continues across the 24/7 spectrum now expected in our industry.